Everything in today’s world starts with an initial search. A website is a crucial part of a business whether you are a small or large business. It is how people find more information about you and how a potential client can find you and contact you. A website gives you an identity so when someone visits your website it should also reflect your company and what you do. Do you have a website but not sure what to do? It is easy to sign up for a popular website builder but if you don’t design your web pages properly it can have a direct impact on your business. Imagine standing in line at a sandwich shop and you are the only one ordering yet they take a long time to make a sandwich. It is the same with your website. If it is too slow or if someone looking to purchase your product or service can’t find what they are looking for. That person will most likely go to your competitors. Let the experts at Oceanside Marketing help you develop a responsive website. Building a proper website is only part of the solution. Making sure you have everything to properly integrate search engine optimization is another story. Everything you do or don’t put on your website can directly affect your google search results. 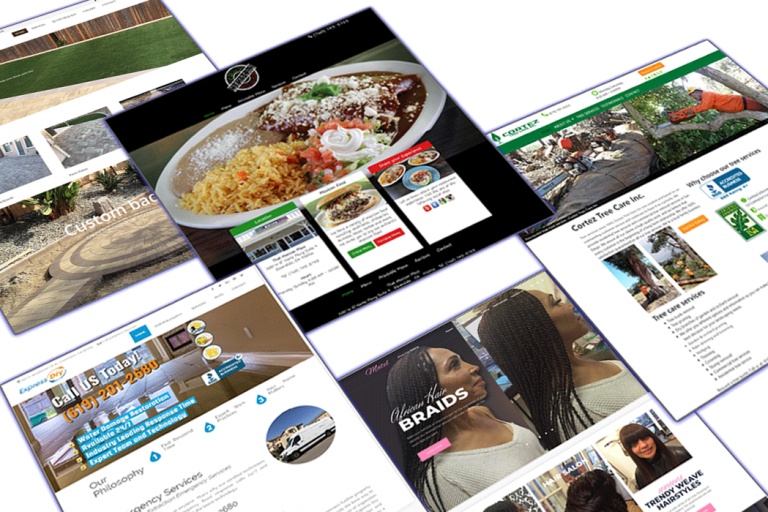 Oceanside Marketing has web design services to fit your needs. We offer full management of your website as well as templates we have available. Why spend time making your webpages look okay. When you can let us handle the heavy lifting and make sure you have a fully responsive and beautiful website up and running in no time.